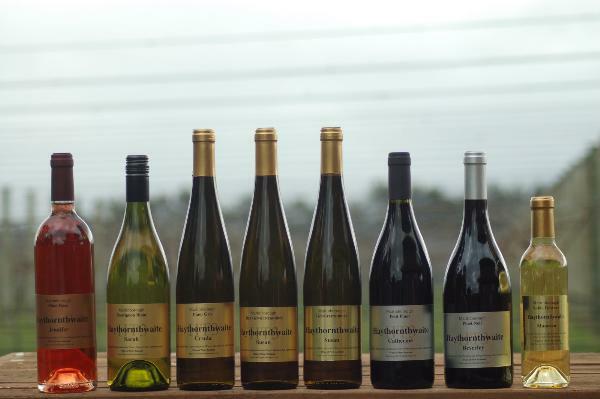 Haythornthwaite Wines is family owned, focusing on quality rather than quantity. Located in Martinborough , our vineyard is situated on an ancient alluvial river terrace made up of deep, free-draining gravel overlaid with a gravelly silt loam. First plantings in 1992, first vintage in 1997. Registered under Sustainable Winegrowing New Zealand, the boutique vineyard produces ripe elegant Pinot Noir, or rich Pinot Rose. In May 2017 most of the vineyard was subdivided off, leaving just 8 rows of Pinot Noir closest to the house. We now buy in fruit to make our other varieties.